Come join us for the annual Germantown Pretzel Festival in Veterans Memorial Park. As you walk around Germantown's Veterans Park, you'll see our vendors having hand-crafted items, tasty treats, fun for the kids and more! Sidewalks will guide you around the park to experience everything the Pretzel Festival has to offer. Come and join us for the annual Germantown Pretzel Festival in Veterans Memorial Park. Bring the whole family and take in some of the views of historical Germantown! 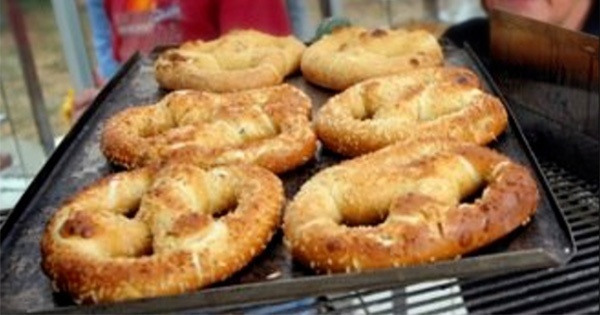 Find more events like "Germantown Pretzel Festival"
Located in Veteran’s Memorial Park at 75 North Walnut Street, the shelter is a perfect place for childrens’ birthday parties or a cookout on a nice day.